The Rise to Peace Quarterly Expert Symposium. Rise to Peace is a nonprofit organization dedicated to educating others on the dangers of extremism and terrorism. 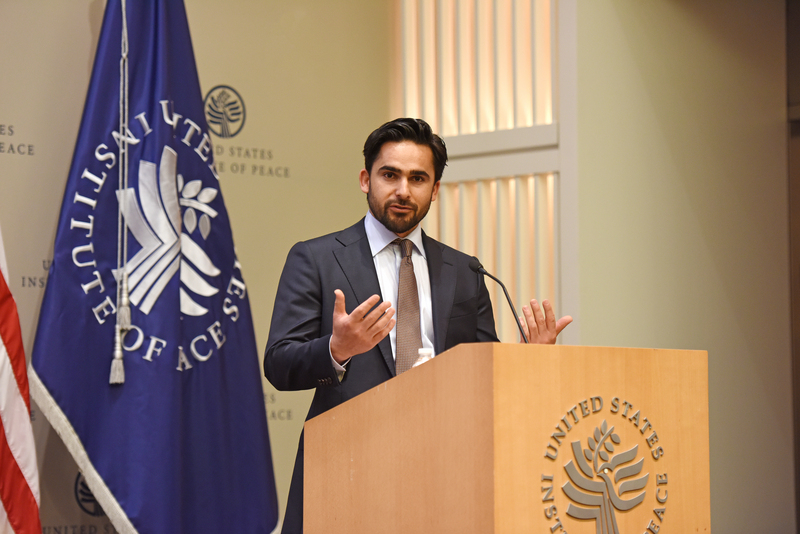 Rise to Peace works closely with the communities and foreign governments in Afghanistan, Iraq and Syria to create programs that benefit the locals, support the governments and counter extremist ideologies on the ground in the conflict zones. We believe in the power of communities as the true path to preventing and countering violent extremism and sustainable peace. Peace is critical and achievable, but it must come from indigenous citizens. Our objective is to develop resilience in the communities to be the frontline in countering violent extremism and in peacemaking through trainings, engagements and establishing effective communication. 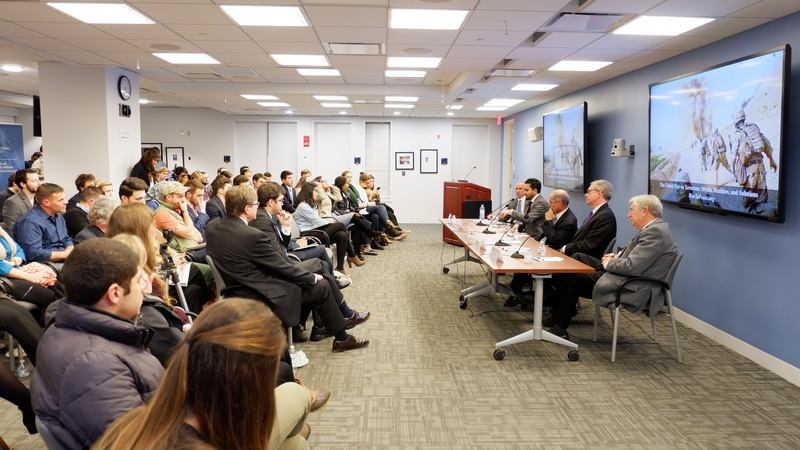 Currently, we are working in Afghanistan with the Afghan government and international organizations to facilitate and support the peace process between the Taliban and Afghan government. Through this effort, we work with tribe elders and government officials to successfully accomplish these goals. 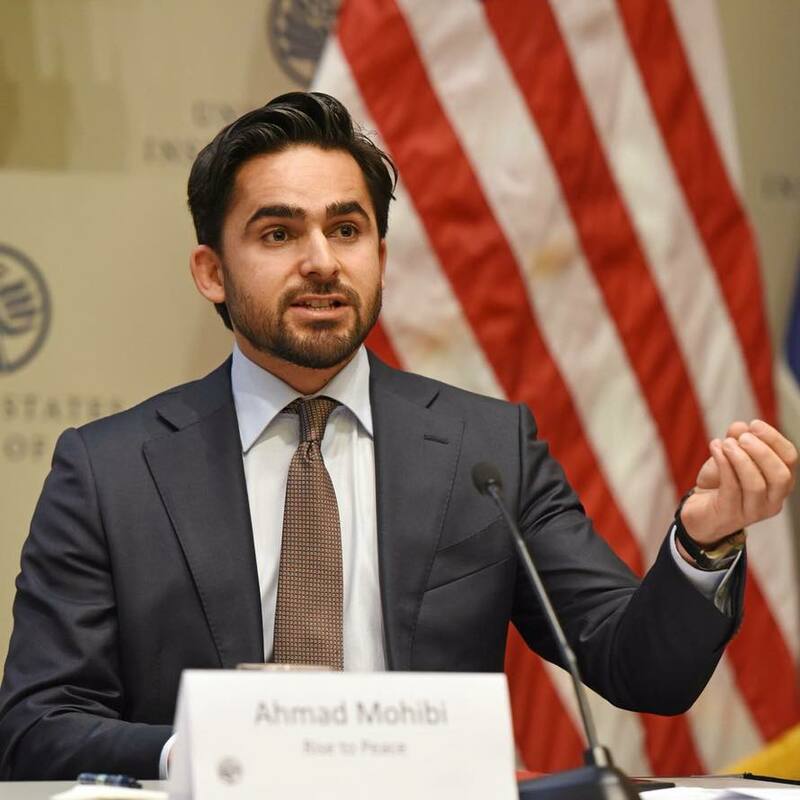 This past June, we opened a local office in Kabul, Afghanistan to act as the center of strategic thinking and research, where men and women can research, write and assist the U.S. and Afghan government with policy recommendations. Our team of field researchers conducted over 60 one-on-one interviews with senior Afghan officials, including the former president of Afghanistan, Hamid Karzai, civil societies, local elders, and members of the Taliban to gain a better understanding of an ideal approach to ending the 40 years of war in Afghanistan. We work closely with media and news outlets to spread the message of kindness, peace and tolerance across Afghanistan. We have a close partnership with Afghanistan’s top-leading news source, including TOLONews, where our team of experts regularly comment, analyze and offer recommendations on all things in Afghanistan. 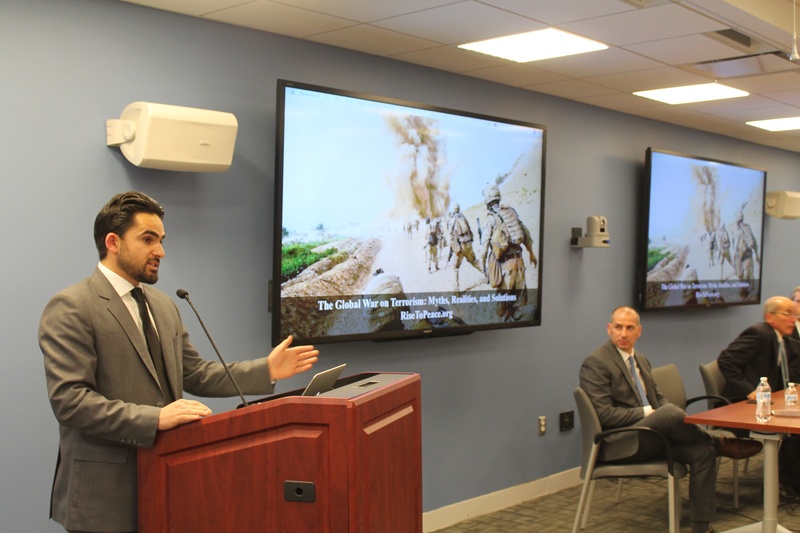 In Afghanistan, we have conducted research, both field and academic, that has been broadcasted and published throughout the country and in the United States, to better help policymakers understand the main challenges associated with the Afghan war. 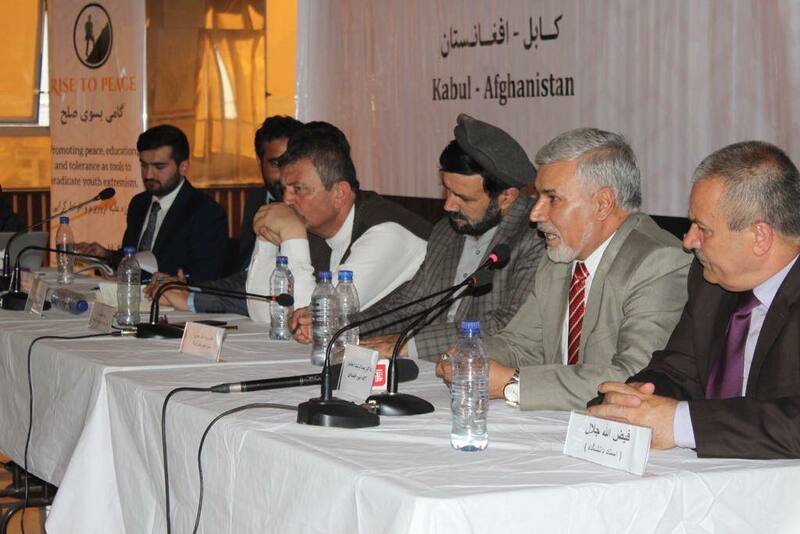 On June 27, 2018, Rise to Peace held one of the largest peace symposiums in Kabul, Afghanistan, where experts from parliament, academia, civil society, and the High Peace Council examined the current situation, including the peace talks, presidential elections, proxy wars, corruption, and other relevant issues impacting peace in Afghanistan, and provided recommendations on how to properly and effectively deal with these challenges. Rise to Peace works on the ground with the communities, organizations and the governments to better communicate and share ideas with enhancing strategies and platforms to prevent and counter violent extremism and reduce the vulnerability of people from terrorism. We believe that most of the complex issues are resolvable if problems are communicated clearly among the people, organizations and the government. 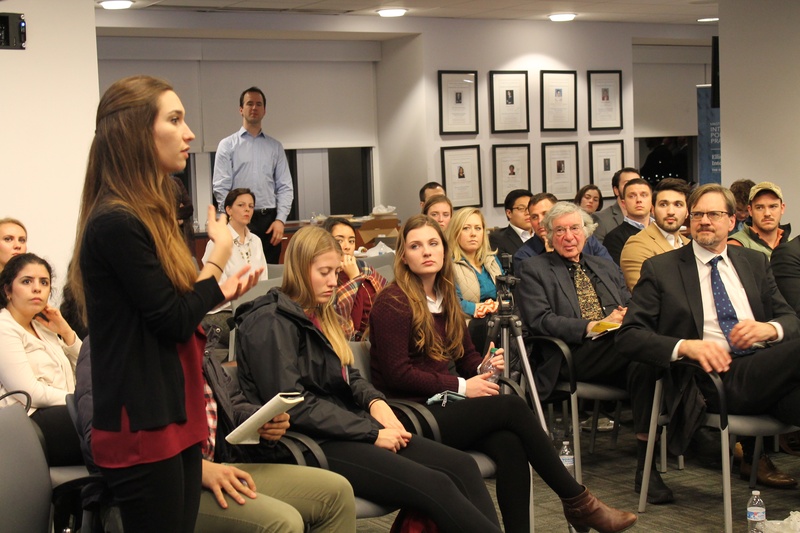 We aim to provide tools to help build a bridge where major security issues such as extremism, radicalization, social injustices are properly communicated and taken care of before it leads to violence. We believe that the environment plays an important role in shaping the opportunities for individuals, people, and groups to join or be recruited by terrorist organizations. We work closely with the localized approach and acceptable to the environment to examine the root causes of what makes an individual commit an act of violence. Our foundation effort is to develop strategies to mitigate and prevent youth radicalization by creating other narratives and counternarratives to extremist groups through communication engagements, media outlets, and communication systems and to develop resilience system among the communities to both prevent and counter violent extremism in their communities. Our objective is to effectively examine the problems and effectively reinforce the volume to address the key drivers to extremism.